It’s the Finale! It’s Football Golf! 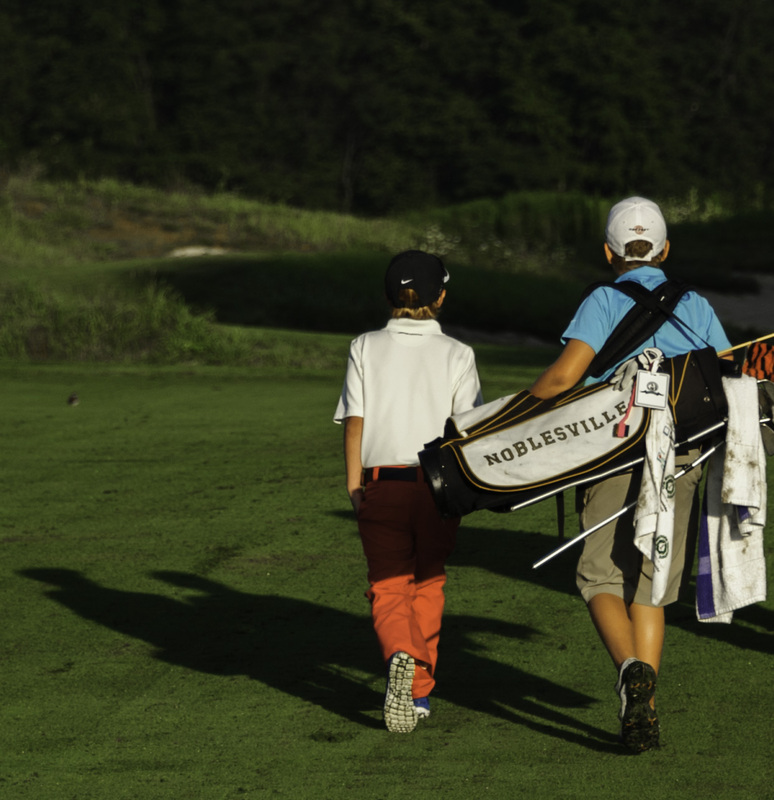 Noblesville…The last Purgatory Men’s Night of the season is set for Thursday, September 5 with a 6 pm shotgun start. It is the year end Football Golf event where three person teams play a scramble format with football scoring. In Purgatory’s Football Golf, pars, birdies and bogeys are listed point-wise on the scorecard as field goals, touchdowns or safeties. A high score is better. The shotgun start will be off the back nine with play on Purgatory signature holes like Valley of Kings, Eternal Torment, Blinding Cloud of Smoke and Hells’ Half Acre. Players have two options. They may enter the Football Golf event listing their team members or reserve a tee slot to play their own tees and own game. The men’s night fee includes free range balls, 9 holes of golf with cart, door prizes and a football pool to win 18 holes of golf at Purgatory Golf Club. The complimentary buffet is Chef Tom’s famous Kentucky cornbread and chili bar. The all-inclusive fee is $35. Interested players should contact the pro shop no later than Wednesday, September 4 to enter a team or reserve a tee slot. Call 776-4653. 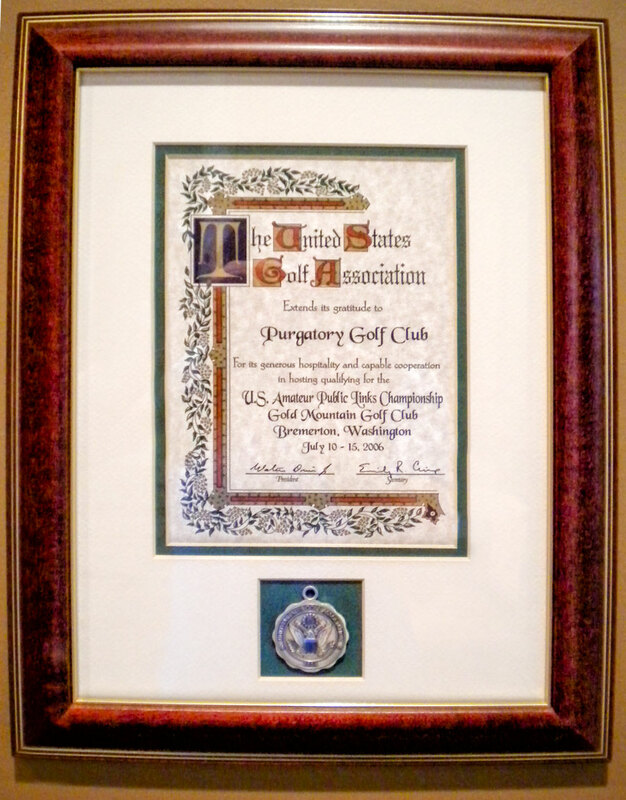 USGA Public Links championship to be played at Laurel Hill GC, Lorton, Virginia. at 7,300 yards, Par 72. Invites were awarded to the top two finishers. 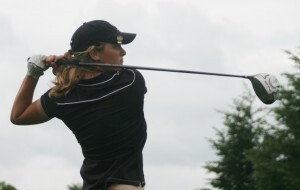 and a Michigan State recruit, shot 73-72-145 to get the other invite. The national championship is held July 15-20. 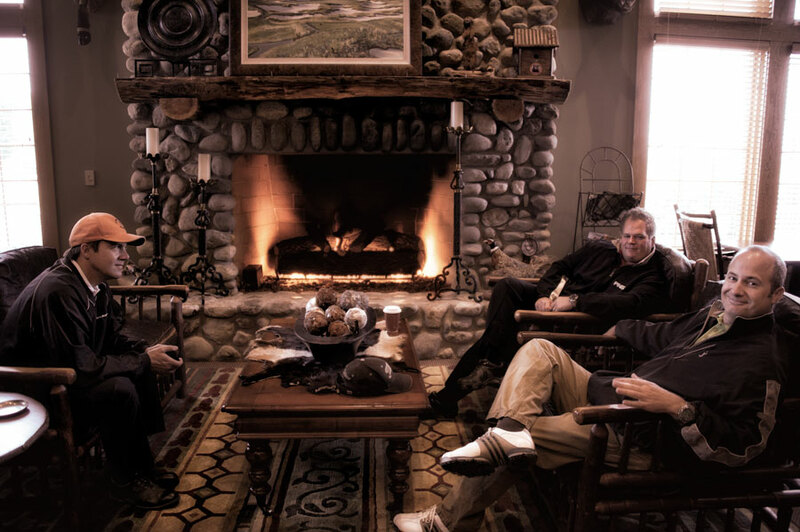 Despite having six sets of tees for golfers, Purgatory can offer a bit more…or less it seems. The pro shop has special Tee It Forward (TIF) scorecards for golfers who want a playable length at about 5,000 or 6,000 yards. 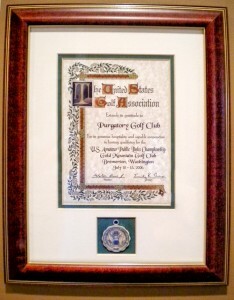 Purgatory joined this recent PGA and USGA initiative to add more options for enjoyable and fun golf. Ask for a unique TIF scorecard on your next visit. The combination cards use a set of different color tees to route a player. 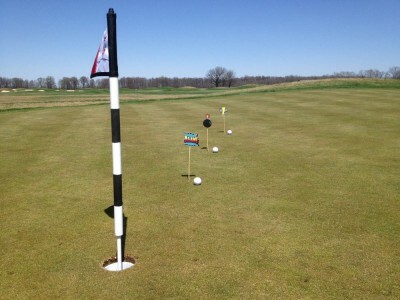 The 4,892 yard course is blend of both Green and Yellow tees. The same blending of different tees is true for the 6,061 yard layout. In this routing various Blue, White, and Green tees are used. With TIF, the fun and challenge of the holes is not derived from a focus on the length. Since every fairway in Architect Ron Kern’s course is designed to accept a drive from each tee box, selecting a desired total yardage is an easy task. 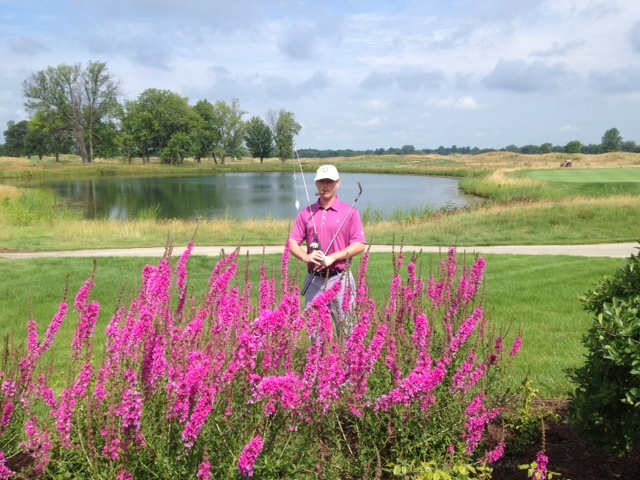 This past weekend the Great Lakes Region 4 golf tournament was held at Purgatory. Teams from around the Midwest played in the two day, 36 hole event tackling the Black Tees set up at 7,146 yards. 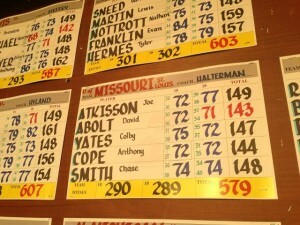 The team champion was Missouri-St Louis with a 4 player score of 579 (290-289). Harrison Carmichael of Lewis University won the individual championship in a playoff with Maryville University’s Destin Harris. Both shot 2 under par 142’s. The University of Indianapolis served as the host school and golf coach Brent Nicoson cited the support of the pro shop golf staff and the course being such a good test of golf as why Purgatory was ideal for this event. In closing remarks, he recognized work of head professional Jon Stutz, assistant pro Brian Pearce and course superintendent James Brown. “Just a couple of weeks ago the course was under 9 inches of snow,” Nicoson added. Teams now return for their conference championships with several projected to earn slots in the final NCAA national event.